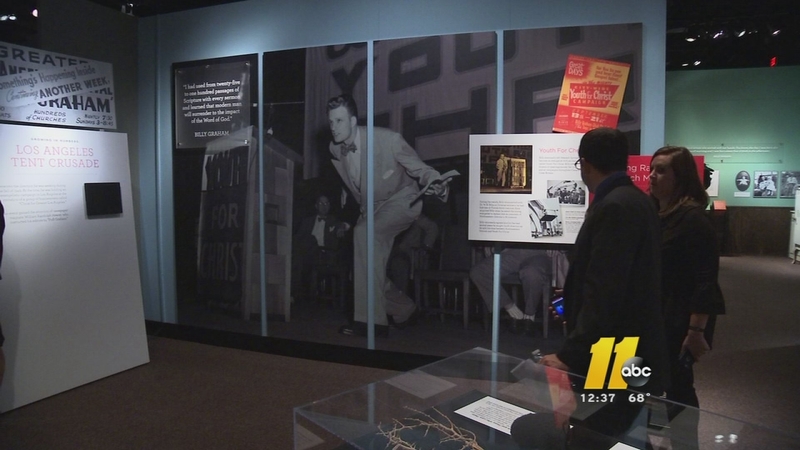 MONTREAT, N.C. (WTVD) -- Rev. 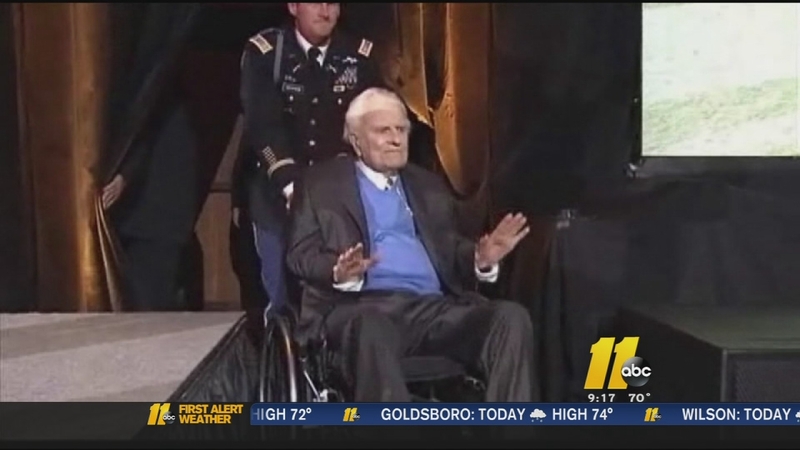 Billy Graham passed away in his Montreat home Wednesday morning at the age of 99. 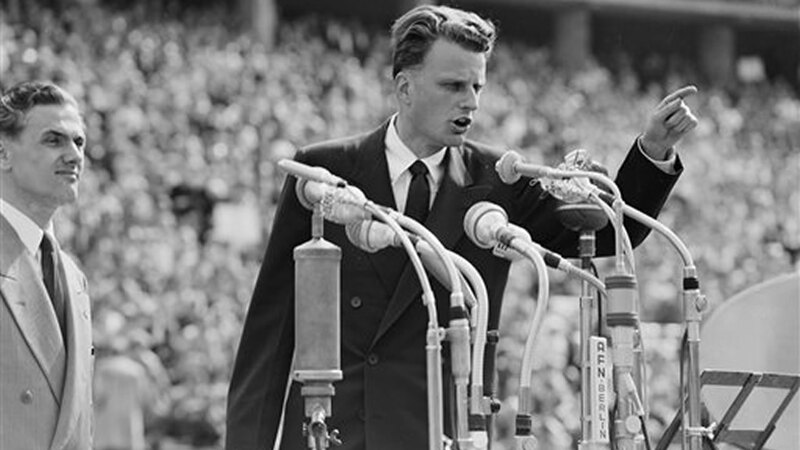 September 1947: Billy Graham's first city-wide crusade in Grand Rapids, Michigan, followed through the years by more than 400 crusades across six continents. 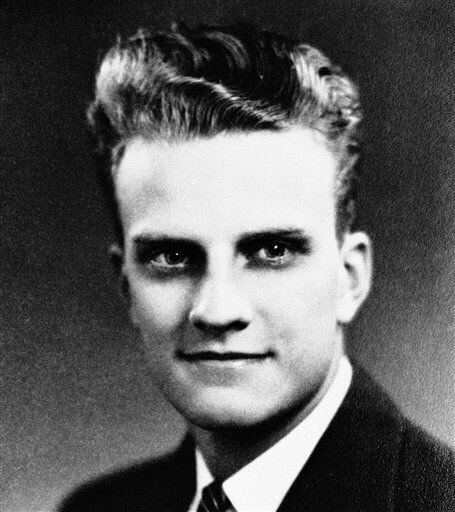 1947: Billy Graham's first book "Calling Youth to Christ" was published. 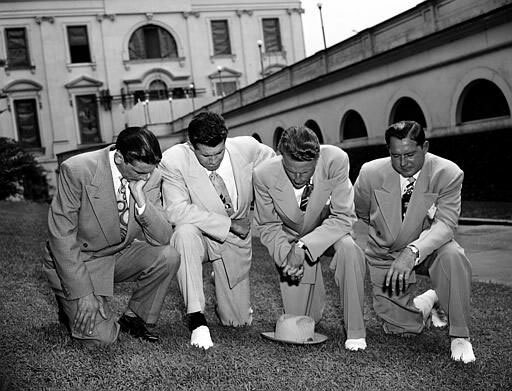 September 1949: "Christ for Greater Los Angeles" Crusade caught the attention of newspaper magnate William Randolph Hearst. 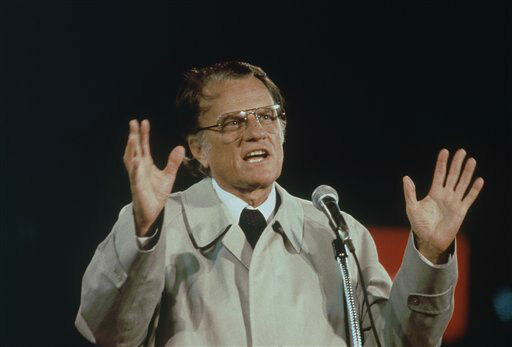 The resulting national and international news coverage launched Billy Graham into prominence. 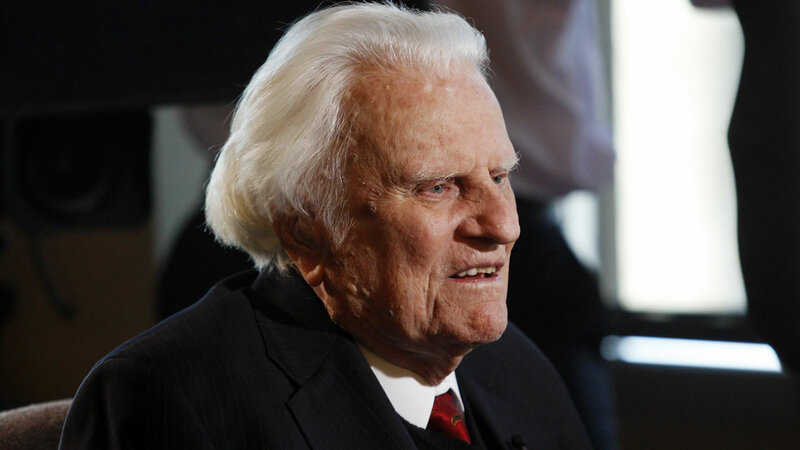 September 1950: The Billy Graham Evangelistic Association (BGEA) becomes incorporated in Minnesota. November 1950: The first "Hour of Decision" radio program aired. September 1951: "Hour of Decision" television broadcasts began airing over the ABC network. October 1951: BGEA releases its first film, Mr. Texas, which is followed by more than 130 other films through the years. December 1952: First "My Answer" Column ran. October 1956: The first issue of "Christianity Today" was published. 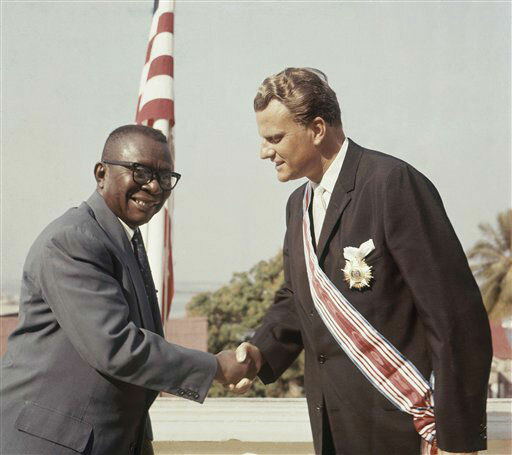 November 1960: The first issue of "Decision magazine" was released. 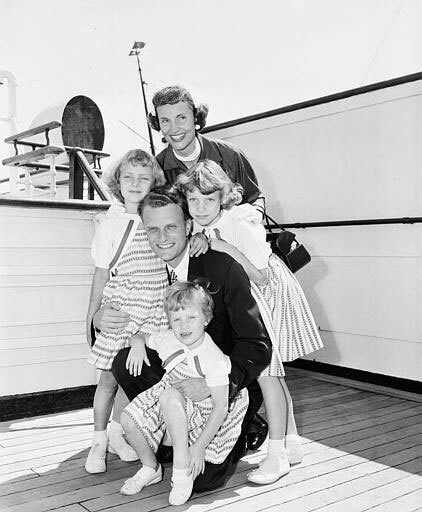 May 1962: Billy and Ruth Graham start a radio station with the goal of leading as many people as possible into a personal and dynamic relationship with Jesus Christ. 1980: TV Telephone Ministry started, which has aided hundreds of thousands in beginning a relationship with Jesus Christ. June 1985: BGEA used satellite technology to broadcast meetings in Sheffield, England to 51 locations in Great Britain. September 1988: Billy Graham Training Center in Asheville launched first programs, held in what is now Chatlos Memorial Chapel. March 1989: Franklin Graham held his first festival in Juneau, Alaska, followed through the years by more than 160 festivals worldwide. June 1989: BGEA used satellite technology to broadcast meetings from London, England, to 250 locations in the United Kingdom. November 1991: BGEA used satellite technology and video to transmit meetings from Buenos Aires, Argentina, to 20 Spanish-speaking countries. May 1993: BGEA officially dedicates the Billy Graham Training Center at The Cove in Asheville, N.C., for the purpose of Bible training of Christians. March 1995: BGEA simultaneously broadcasted the Crusade in San Juan, Puerto Rico, via satellite in 48 languages to thousands of locations worldwide. 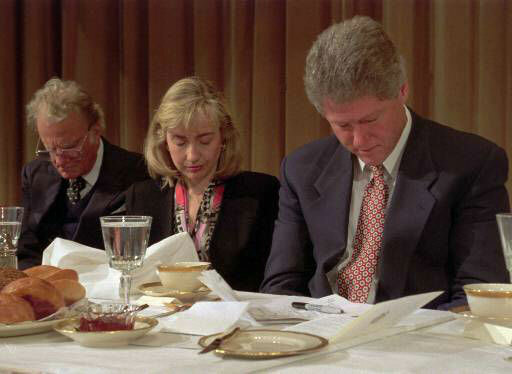 1996: BGEA launched the ministry's flagship website: www.BillyGraham.org. 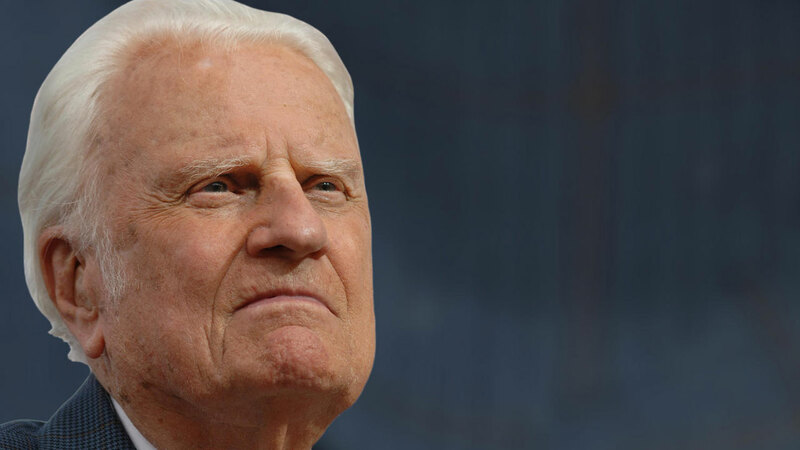 2000: Franklin Graham named CEO of BGEA. 2001: Franklin Graham named President of BGEA. 2001: BGEA developed a biblically based Grief and Trauma training seminar to minister to victims of the terror attacks of Sept. 11, 2001. 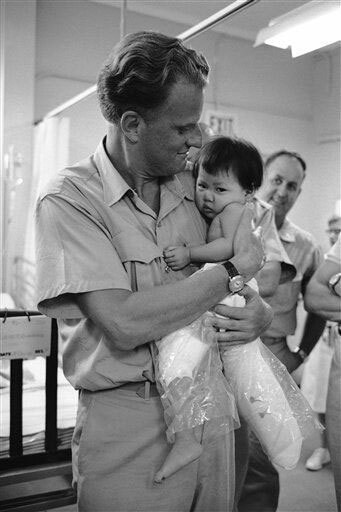 The program ultimately develops into what is today, the Billy Graham Rapid Response Team. 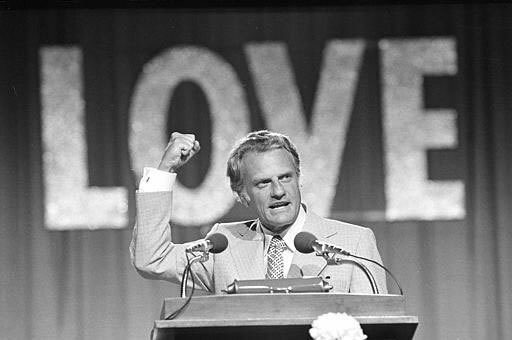 2001: BGEA announced the move of headquarters from Minneapolis, Minnesota, to Charlotte, the city where Billy Graham was born. 2002: BGEA launched the "My Hope" ministry of home-based crusades, resulting in more than 10,000,000 people worldwide making decisions for Christ. 2002: BGEA deployed the Rapid Response Team to minister to hurricane survivors in Lafayette, Los Angeles. They have since deployed more than 150 disaster zones, including hurricanes, tornadoes, floods, fires, and shootings. 2004: BGEA opened a newly built headquarters building on Billy Graham Parkway in Charlotte. 2004: Will Graham started holding youth events in Canada. 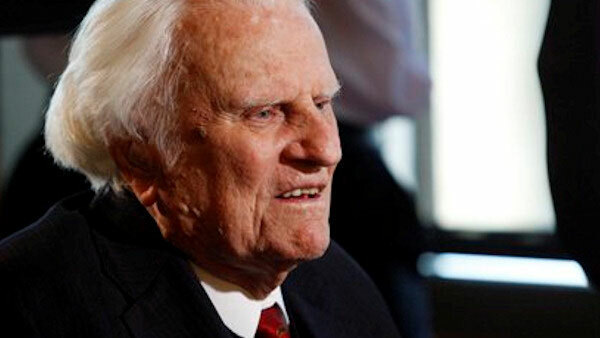 2005: Billy Graham held his final Crusade in New York City. July 2005: 106.9 the Light (WMIT) began broadcasting its HD Radio signal, making it the first Christian radio station in the Carolinas to adopt this technology. April 2006: Will Graham conducted his first three-day Celebration in the U.S.
2006: BGEA launched "Dare to be Daniel," a ministry focused on equipping a new generation of evangelists for the next generation of believers. 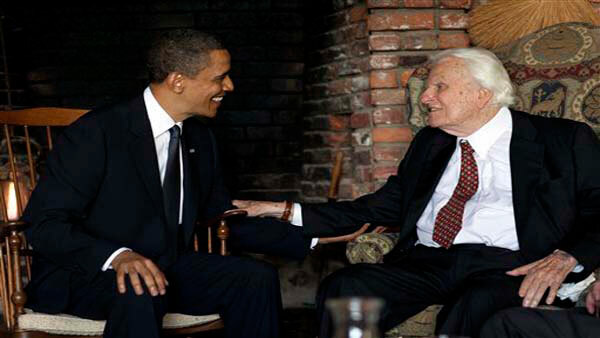 2007: BGEA opened the Billy Graham Library in Charlotte. 2011: BGEA launched PeaceWithGod.net to clearly present the Gospel through the Internet. To-date, more than 4 million people have made commitments to Jesus Christ. 2012: The radio station founded by Billy Graham extended its reach by purchasing 106.7 WRJK-FM, which serves an audience of more than 550,000 in the Knoxville, Tennessee, metro area. 2013: BGEA launched "The Greatest Journey," a 12-session Bible study designed to help children ages 6-9 become faithful followers of Jesus Christ. 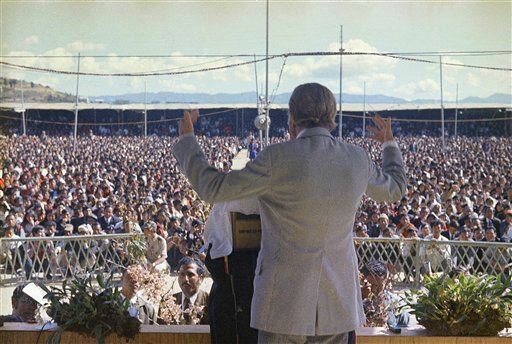 November 2013: More than 110,000 people made commitments to Jesus Christ through My Hope with Billy Graham, an evangelism effort in the United States and Canada that culminated with the broadcast of Billy Graham's video message, "The Cross," in homes, churches and online across the two nations. 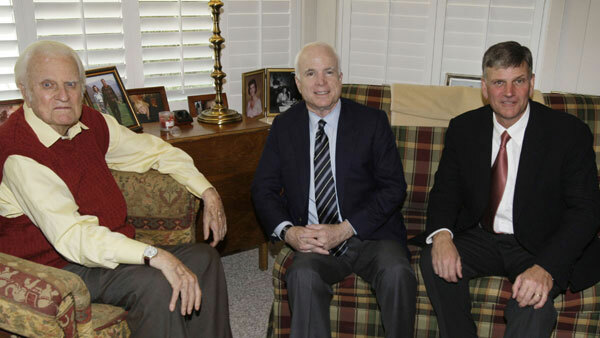 The Billy Graham Evangelistic Association provided the information for this post.